Customers on blood thinners (Coumadin, Warfarin, etc.) 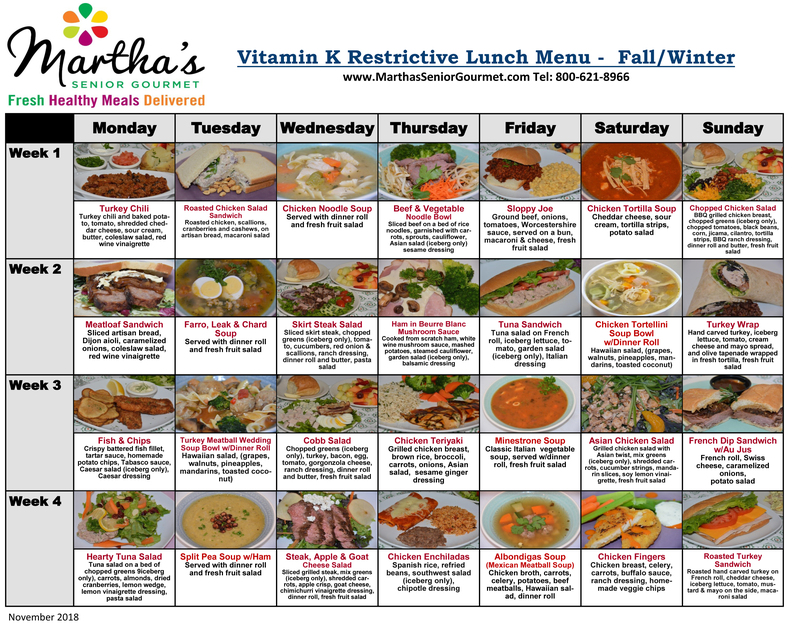 need to restrict vitamin K as it clashes with their medicine; green leafy veggies such as broccoli, all lettuce other than Iceberg, spinach, kale, etc. should be limited. 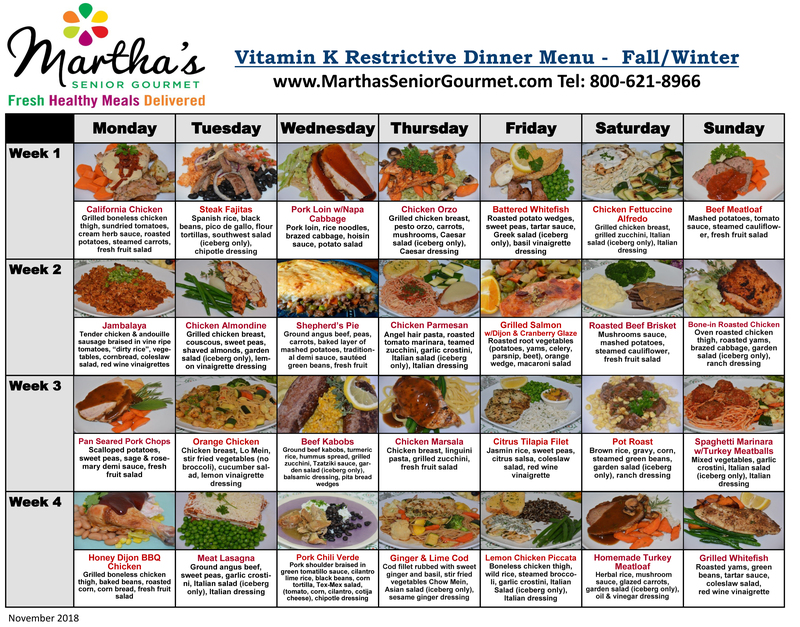 Let us take the guesswork out of preparing meals and place your order to get healthy meals for seniors delivered! View our menus below and place your order!